Experts have revealed that the legal gambling market in Singapore has been increasing over the last few years. The same applies to gambling addiction, with it becoming one of the most serious problems in the country’s gambling industry. 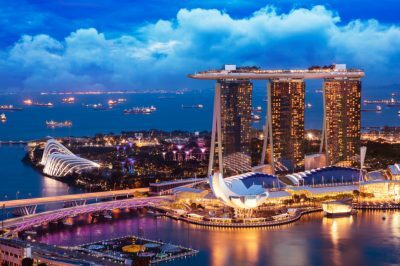 At the same time, local casinos plan an expansion in spite of the higher taxes imposed by the Singaporean Government on gambling revenue. 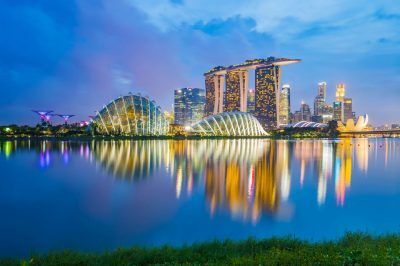 Both Resorts World Sentosa and Marina Bay Sands confirmed that they will continue their expansion regardless of the country’s decision to boost gambling revenue taxes. Only about a week ago, the Government further revealed that it plans to boost casino entry levels by 50%. The expansion of the two above-mentioned operators would include the addition of a 2,000-square-meter lot, where companies would be able to place at least 1,000 gaming machines, including table games, slots and poker rooms. This expansion will give both Marina Bay Sands of Las Vegas Sands and Resorts World Sentosa of Genting Singapore an exclusivity period until 2030 to provide their gambling services in the country, a decision set to ensure business stability. According to financial reports, both companies have originally placed large investments in the local gambling industry, which have now been backed by some additional multi-billion-dollar investments in infrastructure and tourism projects. The increase in gambling taxes is set to be introduced as early as 2022. It is expected to mainly hit revenues generated by high-rollers in land-based casinos, as it would increase from 5% to 8% on first SG$2.4 billion. According to the Government’s official report, a 12% tax is to be imposed on all additional revenues, with no further gambling tax increase set to be made for the next ten years at least. Anti-gambling campaigners who have been worried about the rapid increase of the gambling sector and the constantly rising problem gambling rates have called for some restrictions to be made in the industry. However, some experts claim that banning casino and imposing further restrictions on people to suspend them from gambling could not have the desired effect and in the end, could only fuel the growth of illegal gambling and gambling tourism. Of course, it is entirely up to the Singaporean Government to decide whether to stop the growth of so-called integrated resorts (IRs), but the truth is that the authorities are not able to refuse local residents their right to gamble, so it would happen elsewhere, if not in Singapore. In addition, many Singapore players are actually aware of the possible negative consequences which gambling could have on their lives but they seem to could not care less about that, or just the wish to win back some money is stronger. Also, considering the fact that the World Health Organization classified gambling addiction as a mental health issue, the influence which casinos have on gamblers is controversial. It is also hard to project whether a possible crackdown set to stop the current growth of IRs would be enough to keep the dangers associated with compulsive gambling away.